"Apple's AirPort Express has long been an awesome way to stream music from your PC across the house, but if you don't have one, iOS app WiFi2HiFi lets you stream any audio to your stereo using your iOS device." Have an iOS device (iPhone, iPod Touch) and want to get music from your PC to it? 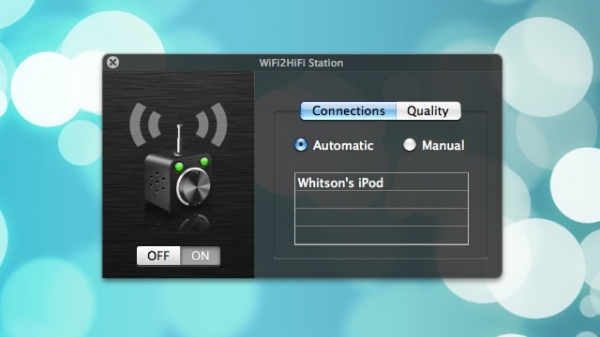 Then WiFi2HiFi is worth a look: you buy the app for 99 cents, then after installing a separate program on your PC, you can connect the two and get your music anywhere in your home. I've personally wished for in-home "everywhere" audio in the past, but I've never been willing to shell out the dollars needed for the whole ecosystem of speakers required. This would provide a solution to that quandary - sort of - but ultimately it's just a "dumb pipe" because it doesn't allow you to control the music coming off your PC.